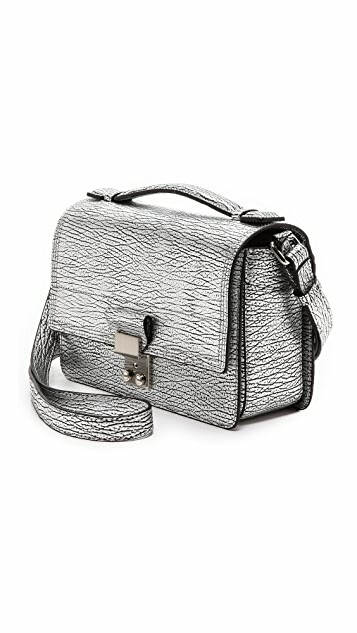 Sturdy, crackled metallic leather constructs this petite 3.1 Phillip Lim messenger bag. 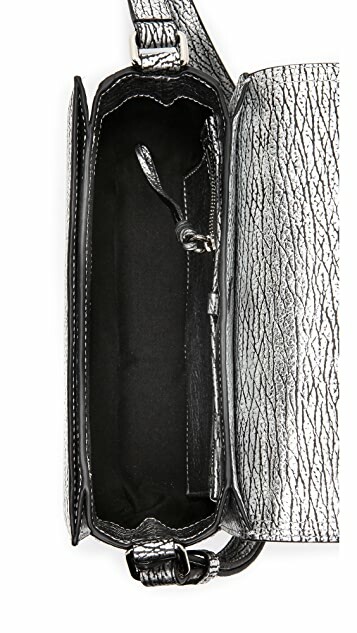 The push-lock flap opens to a lined interior with a slim front compartment and a zip pocket. Magnetic back pocket. 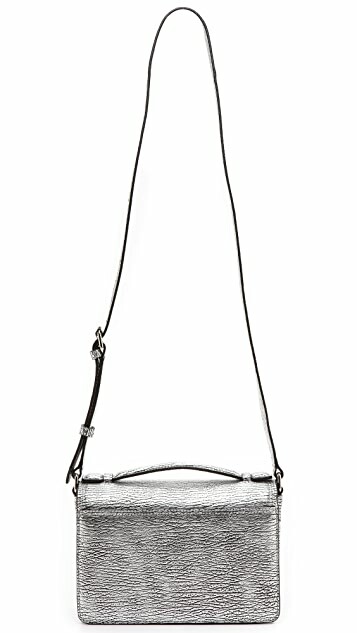 Short handle and adjustable cross-body strap. 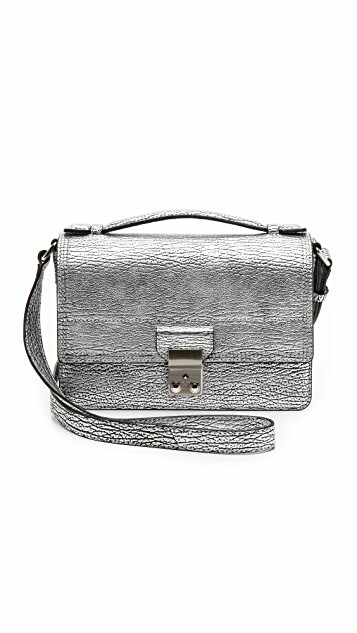 Brushed gunmetal-tone hardware. Dust bag included.